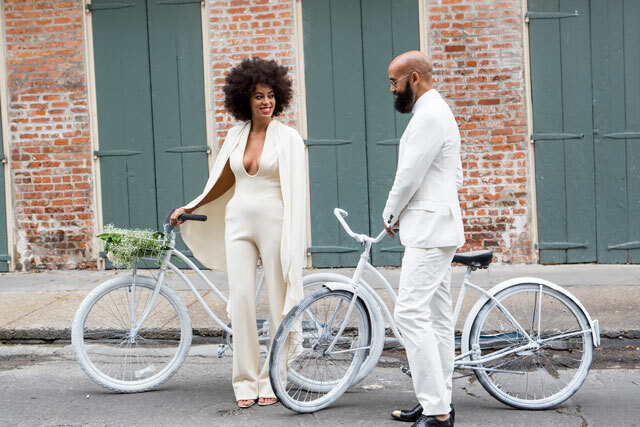 Solange and Music Director Alan Ferguson arrived via white-painted vintage bicycles for their wedding. Now that’s wassup! !